Are you someone who likes to craft, explore your creativity, and share your creations with others? 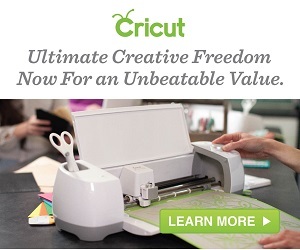 Cricut created their line of personal electronic cutting machines just so that you can do that. Cricut is actually a family of electronic cutting machines that make it possible for you to easily create amazing do-it-yourself (DIY) projects. Well, not totally DIY because Cricut’s incredible machine’s do a LOT of the heavy lifting. There are so many interesting things you can make and do with Cricut – which we’ll be sure to cover in a future post. But before we get too ahead of ourselves, it’s best to go over each of Cricut’s machines, what they do, and how they are different. Now, I just need to find the time where I can use one of these beauties! Are you a Cricut user? What is your favorite thing to craft?